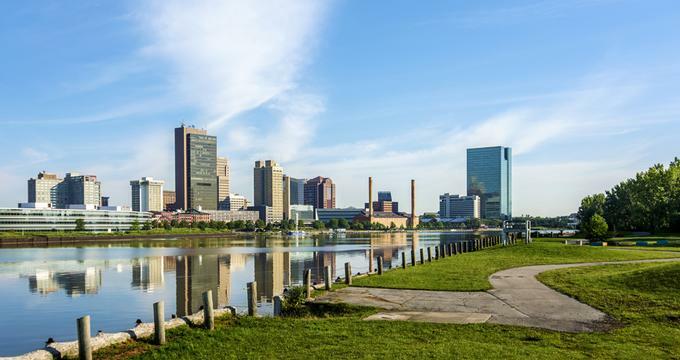 Visit Toledo in northwest Ohio, a vibrant city on the shores of Lake Erie which offers couples and families plenty to see and do. Best things to do in Toledo, Ohio with kids are the Toledo Zoo, the Imagination Station and Oak Openings Preserve. Located on Elmer Drive northwest of downtown Toledo, Toledo Botanical Garden is a 60-acre garden owned by the Metroparks of the Toledo Area and one of the best things to do in Toledo OH. The only botanical garden in the area, the Toledo Botanical Garden is a garden open to the public and free of charge. There are sculptures scattered here and there throughout the garden, and some of the gardens include the green garden, herb garden, perennial garden, pioneer garden, and many more. The botanical garden hosts events like the Crosby Festival of Arts, Heralding the Holidays, and the Jazz in the Park Garden Concert Series. There is also a Seasons Gift Shop and Visitor Center. The botanical garden is open every day. 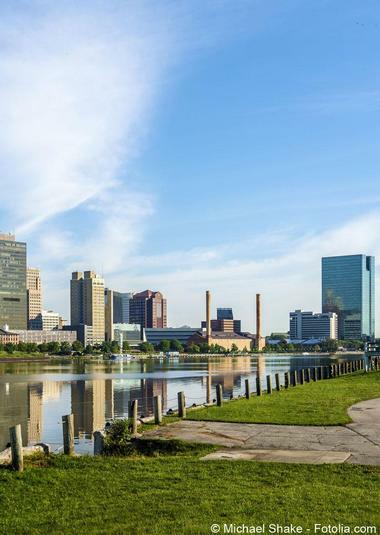 Located on Monroe Street in downtown Toledo, the Toledo Museum of Art is one of the top Toledo attractions, with a collection of over 30,000 works. 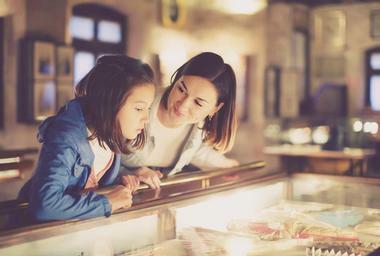 Founded in 1901 by local glassmaker Edward Drummond Libbey, the museum moved to its current location in 1912. 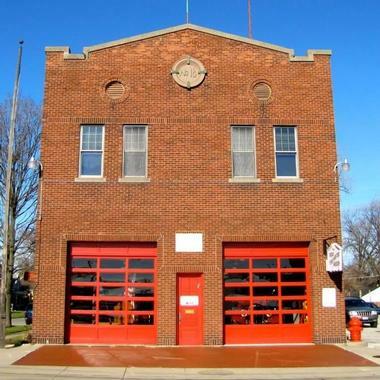 It is housed in a Greek revival building and underwent expansions in the 1920s and 1930s. Originally founded in 1900 as the Toledo Zoological Gardens after a woodchuck was donated to the city, the Toledo Zoo & Aquarium is today a popular and well-known zoo located southwest of downtown Toledo on Hippo Way. Built by the Works Progress Administration, the zoo continues to use many of the original historic buildings today. Some of the zoo’s exhibits include the Arctic Encounter, Cheetah Valley, Kingdom of the Apes, and the Tiger Terrace. The 178,000-gallon aquarium contains more than 3,000 exciting aquatic animals. If you are looking for things to do in Toledo with kids, this is a great place to visit. Built in 1937, the aviary is one of the zoo's oldest buildings and is home to many interesting species of birds. The zoo is also known for its conservation efforts. The Imagination Station is a hands-on interactive science museum located on Discovery Way on the riverfront of the Maumee River. It is a non-profit organization formerly known as the Center of Science and Industry. Today, the museum boasts more than 300 interactive exhibits, and it has a goal of making engineering, math, science, and technology fun for the whole family. Some of the exhibits like “Eat It Up!” teach about nutrition, while other exhibits like the “Science Studio” teach children about biology, chemistry, and physics. If you are wondering what to do with kids in Toledo, the Imagination Station is a fun place to visit. The museum offers several programs including early childhood programs, homeschool workshops, scout programs, and summer camps. If you ask Hungarians what a Hungarian Hot Dog is, they will tell you that there is no such a thing. Packo, of Hungarian origin, invented it and went down in history for this tasty innovation. His hot dogs, homemade buns, and special sauce are so famous that even celebrities come to Packo's just to try them. In keeping with tradition, they then leave a signed bun to be placed on the wall among other exciting souvenirs. Packo's is a family business that had its modest beginnings in 1932. Today, it boasts five locations in Toledo. The original Packo's is a large, bustling family restaurant where servers glide about the room with full trays, people chat and laugh, and nobody feels embarrassed by the sauce stains on their faces. Order a juicy smoked hot dog on a house bun, smothered with Tony’s famous sauce, and topped with a bit of chili and shredded cheese. If you don’t know what a gastropub is, a trip to Bar 145 will give you the proper introduction. They advertise themselves as a burgers, bands, and bourbon place, but you can also get gourmet burgers you would expect to find in top restaurants. The restaurant boasts 25 kinds of bourbon and some very good bands, features that regularly draw huge crowds. With its large patio and high tables, the enormous 50-seat oval bar, and a number of flat screen TVs, the atmosphere is very lively. 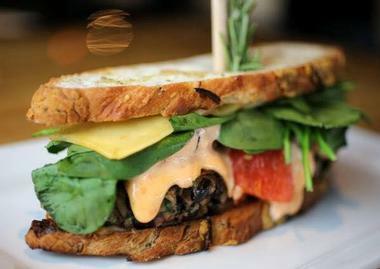 Burgers are served on fine white china, the quality meat comes from Myers Ranch, Grand Rapids, a local baker provides the fresh buns, and Zingerman’s in Ann Arbor delivers the flavorful artisan cheese. There are also 20 house made sauces, allowing you to have a completely individualized dining experience. Located on West Central Avenue in the Wildwood Preserve Metropark northwest of downtown Toledo, the Wildwood Manor House is a Georgian Colonial home that offers free tours to the public. Taking tea in the Solarium is a popular activity on the first Friday of the months of April until November except July. The house hosts musical concerts and has a collectibles program. It can be rented out for special events like weddings and parties, and specific rooms can be rented out as well. Tours are offered on Sundays from January through March, on Tuesdays through Fridays and on Sundays from April to October, and the house is closed in November and December. La Scola Italian Grill is classic Italian restaurant on Airport Highway that stands out because of its bright, cheerful atmosphere, superbly comfortable furniture, and some of the best Italian food around. The ingredients come from a number of highly reputable producers. Turkeyfoot Creek Creamery from Wauseon, Ohio provides tasty goat cheese, breads and ciabattas come fresh from Stranz Bakery in Toledo, and local markets and farmers deliver all the delicious produce. This is Italian cuisine at its best, and it’s the kind of food you would expect to have when visiting your Italian relatives or friends at their homes. Try the Chicken Bandierra, which is Italian flat bread covered with almond spread and loaded with roasted dates, prosciutto, and feta cheese, then covered with fresh basil and balsamic glaze. Founded in 1943 with 22 part time musicians, the Toledo Symphony Orchestra of today consists of 80 professional musicians who provide the Toledo area with performances and education. If you are looking for romantic date night ideas in Toledo, see a performance by the Toledo Symphony Orchestra. The symphony performs at the Peristyle Theater, which is part of the Toledo Museum of Art. The symphony offers a variety of programs for children, youth, and adults. The Toledo Symphony Youth Orchestra consists of 200 students from the area, and private lessons are available from some of the symphony players as well as from other local musicians. The Toledo Symphony School of Music offers classes for groups, private lessons, and special performances. Young musicians have the opportunity to learn how to read music as well as play in a large group. Enjoying a flavorful pizza while sitting on the patio by the river and watching the sunset passing boats has to be one of life’s greatest pleasures. If you come to Zia’s, you can do just that. In fact, whatever you decide to order, you can always enjoy sitting on their outdoor patio by the Maumee River. Everything is simply delicious. Chef Sonny Ankney and his team serve delicious Italian comfort food – pizzas, delicious pastas, plenty of fresh fish, superb soups, and filling bread you just won’t be able to stop eating. The indoor dining room is a great place for a fun time. It’s very cheerful and colorful, with a number of Chianti bottles hanging from the ceiling, which you can order to go with your pizza or pasta. In 2014, a mother-daughter team started the Toledo Flavors Food Tours with the intent of helping people to get to know and appreciate the food available in Toledo. Tours start near the intersection of South Superior Street and Washington Street close to the Maumee River in downtown Toledo. During the Warehouse District Food Tour guests are able to taste food from a variety of places, including a bakery, a coffee shop, a food truck, a pub, a restaurant, and a wine bar. If you are looking for fun things to do in Toledo, taking a food tour is a great way to get to know the city. In addition to the tastings and a visit to the Toledo Farmer’s Market, tour guides explain the architecture, art, and history of the warehouse district. Located at Toledo Docks, the Real Seafood Company is a spacious, luxurious restaurant with a spectacular view of the Maumee River, and the original art pieces hanging on the walls add to the contemporary and upscale feel. It’s the perfect place for important business lunches or romantic dinners for two. Chef Paul Cerveny serves delicious fish and seafood from the nets of New England, the Great Lakes, or the Gulf of Mexico. Depending on the season, you will be able to enjoy exquisitely prepared lobster, oysters, shrimp, or several kinds of fish. There is also an enormous raw bar and live music in the bar and lounge area on Fridays and Saturdays. 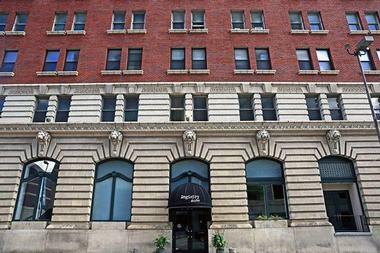 Registry Bistro is located in the heart of the Toledo’s entertainment district in the old Secor Hotel, which was built in 1906. After the hotel closed and underwent many transformations, the building was finally meticulously renovated and today serves as the home of distinguished tenants like the Toledo Opera – and Registry Bistro. The main dining room of Registry Bistro is exceptionally modern with concrete floors and high cement pillars. The ambience is not at all harsh, however, as the warm wood of the furniture, the soft gray of the walls, and the magnificent French doors that open to the outside dining space add warm and welcoming touches. The menu is another mix of classic and modern, and celebrated chef Erika Rapp, who works with local producers to stock the kitchen with only the freshest seasonal ingredients of the highest quality, expertly prepares delicious fare. She serves New American Cuisine with her own superb flare. 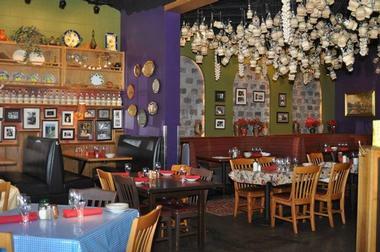 The tapas, small plates that encourage sharing between friends, are her particular specialty. Try delectable concoctions like Scotch Olives - green olives that have been generously stuffed with finely herbed goat cheese, layered with chorizo, coated with bread crumbs, and then deep fried. You will love every morsel. The wine list features many choices from small wineries and local and European wines, and you can also order American craft beers. The Maumee Bay Brew Pub serves house crafted beer and tasty American food like burgers and pizza. It is located on Broadway Street on the second floor of the historic Oliver House, which is a pre-Civil War hotel built in 1859. 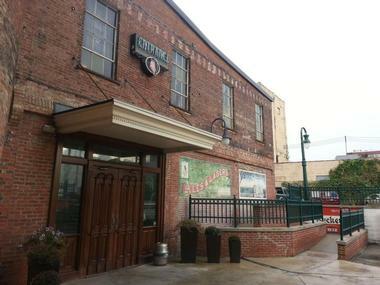 Today, it is the home of several businesses including the Maumee Bay Brew Pub. The pub sells craft ales and lagers as well as Buckeye Beer. Once inside, diners can get a good look at the 500-gallon tanks that hold the brewing company’s beers. The pub features a wood firebrick oven for its pizzas, and its menu features a build-your-own burger. The pub often hosts special events, and the Oliver House can be rented for various functions. The pub is open Monday to Saturday. Revolution Grille has been creating a quiet revolution in Toledo, and it has proven that an upscale restaurant does not have to be overly traditional to be successful. Revolution Grille has a refreshing take on traditional American cuisine. The atmosphere is lively, modern, and intimate, and it is certainly elegant enough for a romantic dinner. The open concept allows you to watch chef and owner Campbell and his colleagues work their magic in the kitchen. Ingredients are locally sourced whenever possible, and they are always seasonal and fresh. The menu changes often; its features depend on the chef’s whim. If possible, try the Buffalo Strip Steak rubbed with red curry and served with saffron garlic, red curry sauce, and hasselback potato. The cocktails are equally innovative. Located on Girdham Road southwest of downtown Toledo, Oak Openings Preserve is a nature preserve and the largest park in the Toledo area. It is part of Toledo Metroparks and is the home of the Beuhner Center, a popular location for scout camping that also serves as an interactive nature center. The preserve contains an oak savanna, sand and vegetated dunes, wetlands, and several rare species of plants. Some of the interesting plants that grow here include cacti, orchids, and wild lupines. 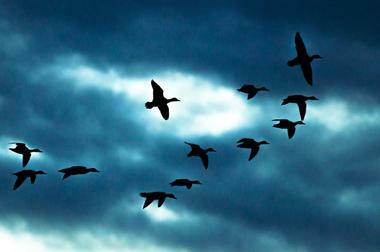 There are also many birds such as whippoorwills, indigo buntings, and bluebirds. Some of the available activities include camping, fishing, horseback riding, and picnicking. The preserve is open every day. More vacation ideas: Top 20 Weekend Getaways in Ohio.